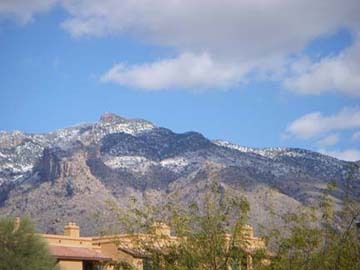 These next four photographs are of the Catalina Mountains in Tucson, Arizona, with snow! 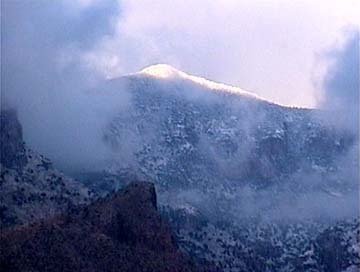 Yes, we do get snow in Tucson! 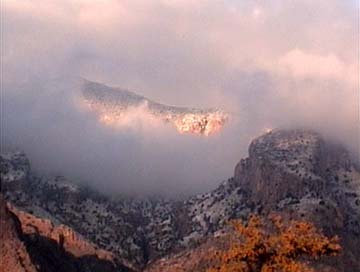 The next three photographs were taken with my camcorder, and I zoomed into the mountains. I love how the clouds are swirling around the mountains! I like how the sunset makes orange highlights on the mountains! 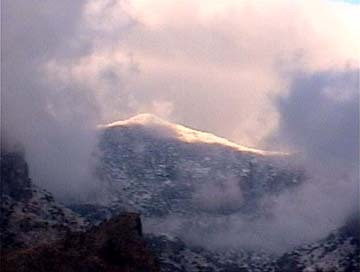 This is taken in Oro Valley of the Catalina Mountains without snow. I used one of my digital Nikon cameras to take this shot from where I live. 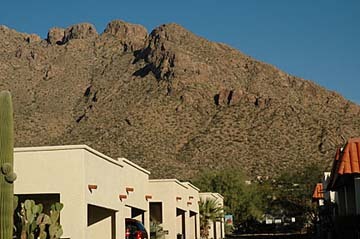 I love being so close to the mountains!